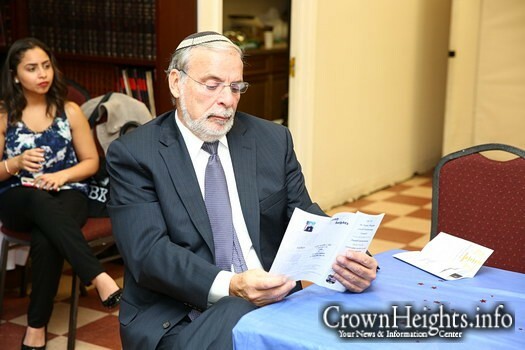 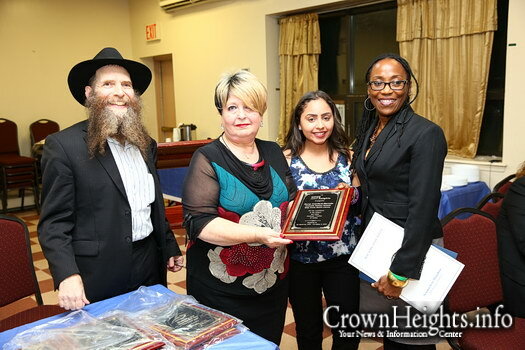 The Crown Heights Jewish Community Council’s Crime Victims Program, directed by Batia Brandel, awarded several individuals for their outstanding service to the community and victims of crime. 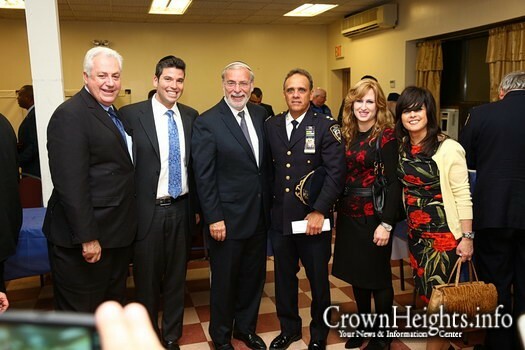 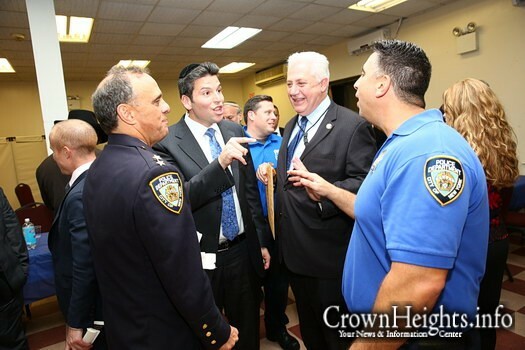 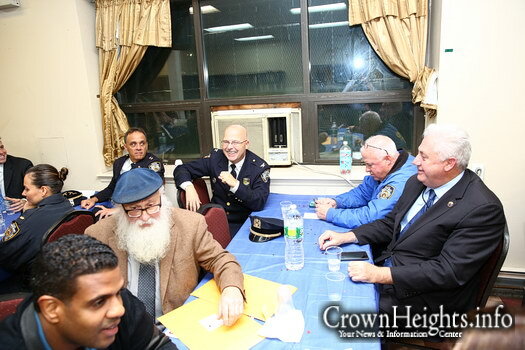 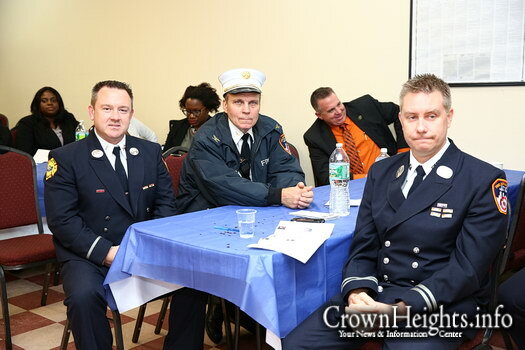 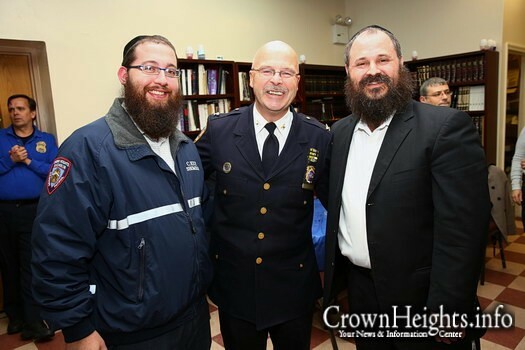 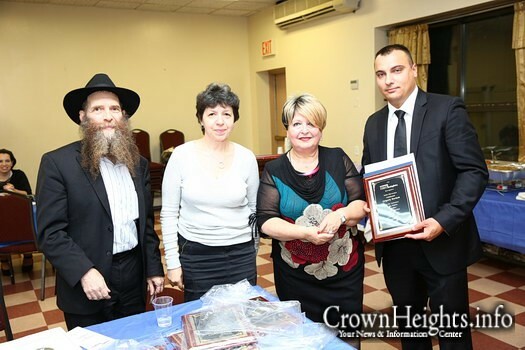 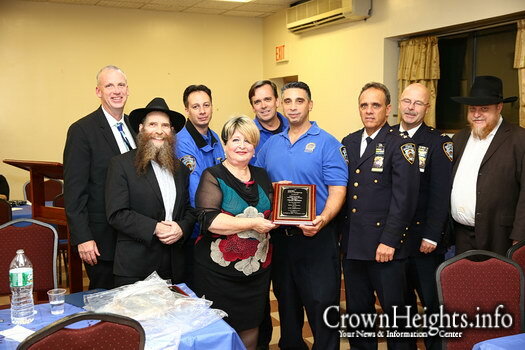 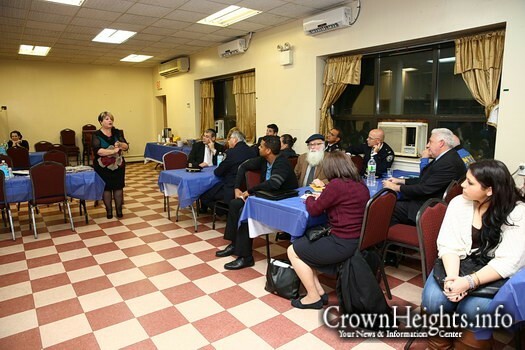 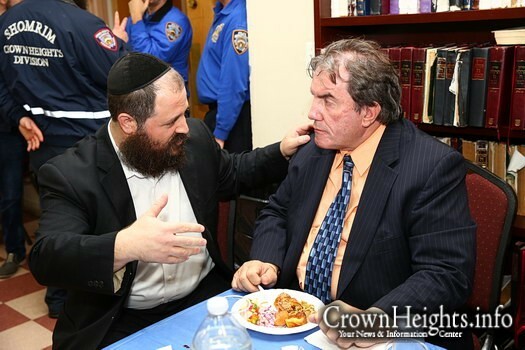 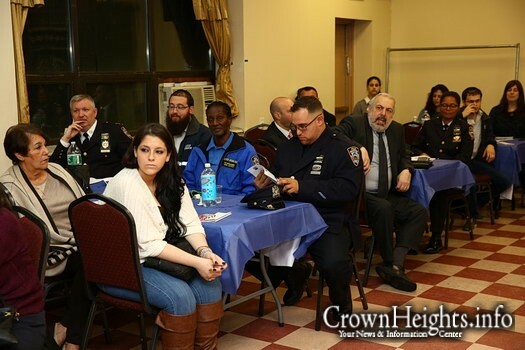 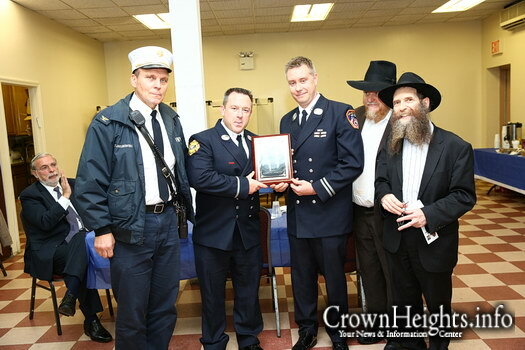 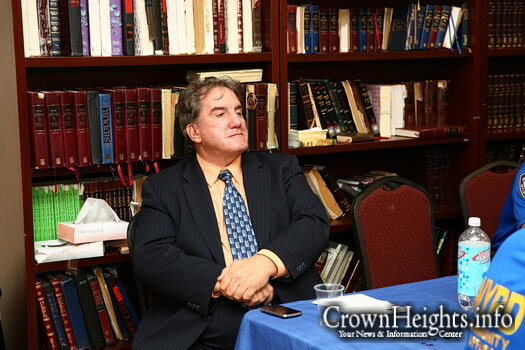 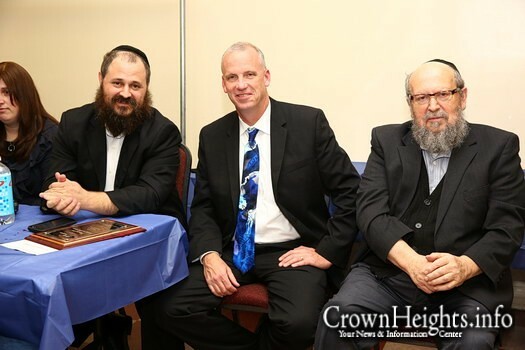 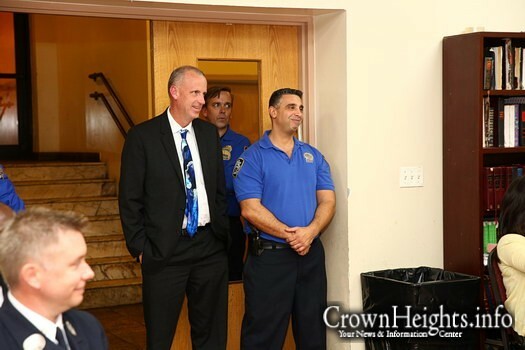 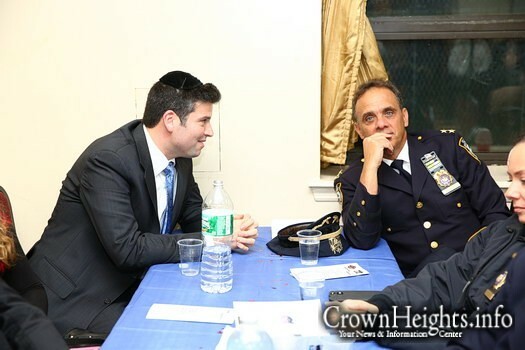 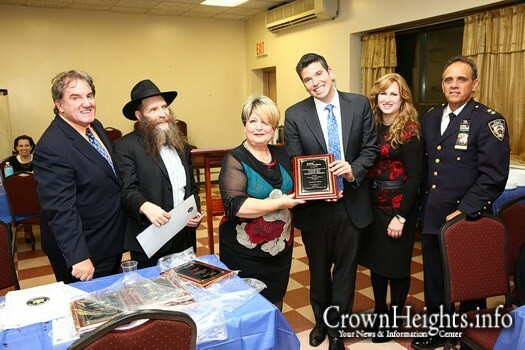 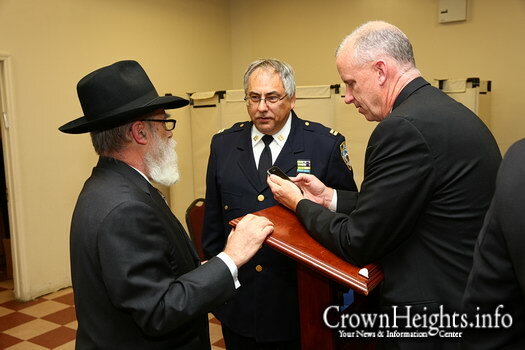 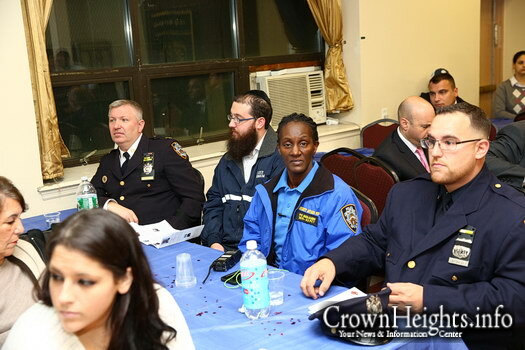 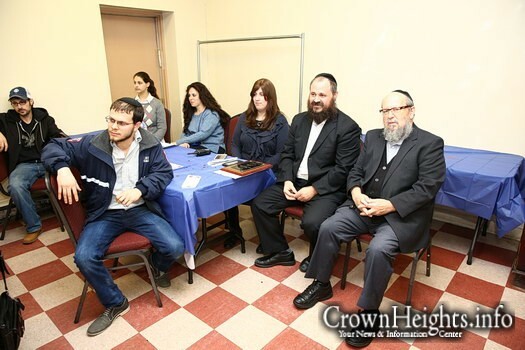 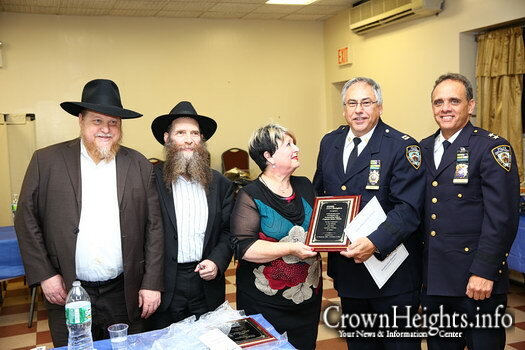 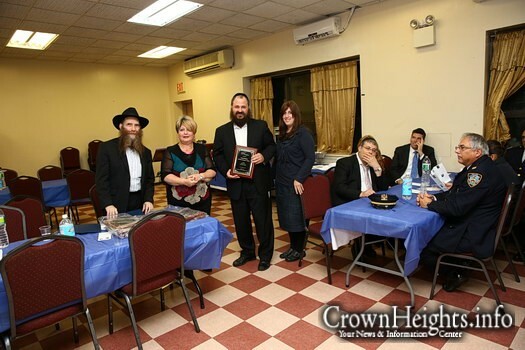 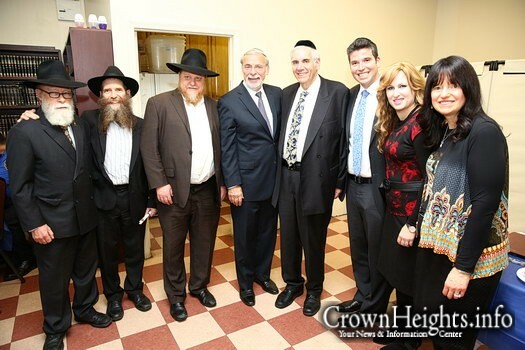 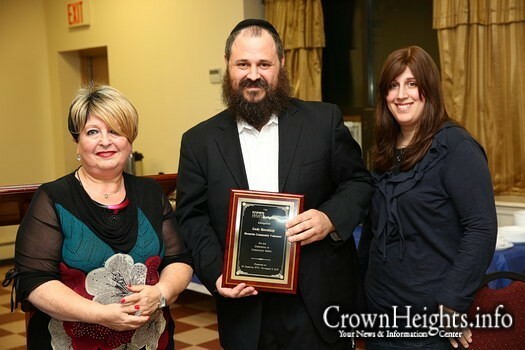 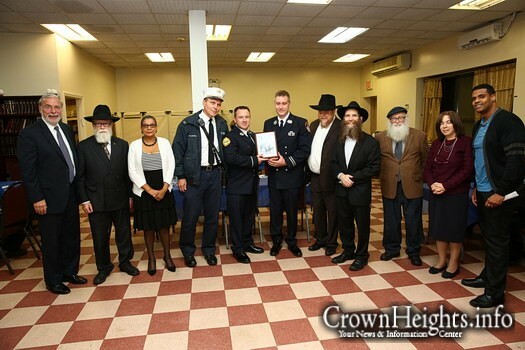 Among the awardees was the coordinator of the Crown Heights Shomrim, Gadi Hershkop. 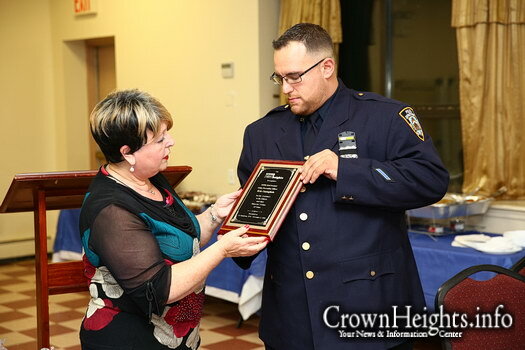 The awards were handed out by Mrs. Brandel, who also serves as the community council’s liaison to the NYPD. 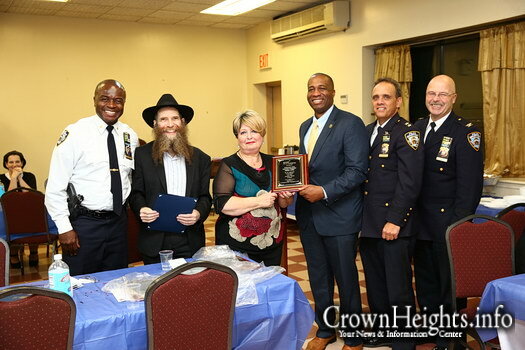 They were in recognition of the awardees’ assistance to members of the Crown Heights Jewish community who were victims of crime. 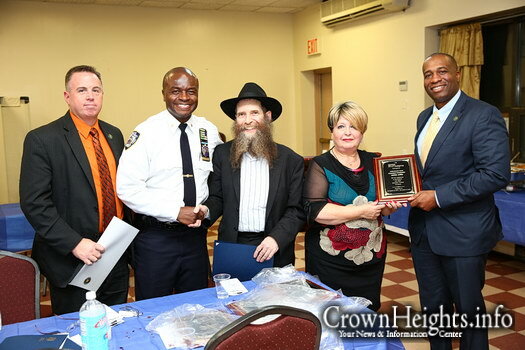 They were awarded to individuals from the Crown Heights Shomrim, NYPD, FDNY and the Office of the District Attorney. 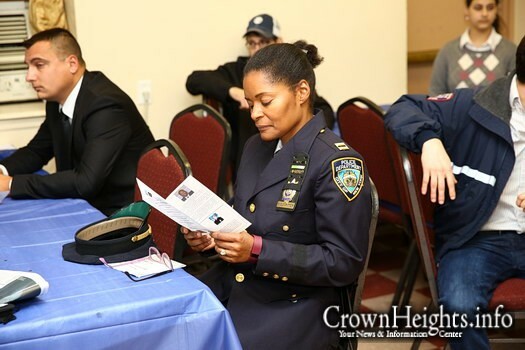 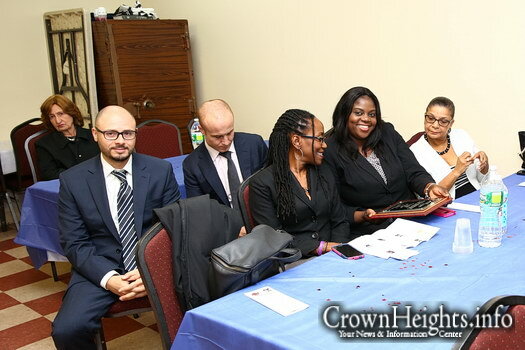 The first award was given to Gadi Hershkop, senior coordinator of the Crown Heights Shomrim, followed by Karen Crawford-Marcelle, Community Relations Specialist for the Kings County D.A. 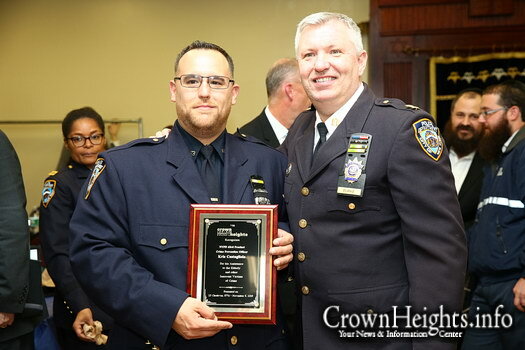 Next awarded were several officers of the NYPD: Officer Kris Castagliola, Crime Prevention Officer at the 63rd Precinct; Lt. Ira Jablonsky, Commanding Officer of Patrol Borough Brooklyn South, Community Affairs Unit; Lt. Grigoriy Bardash, Domestic Violence Unit in the 75th Precinct; Lt. 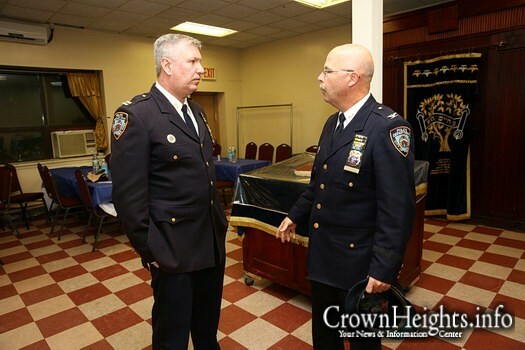 Commander Adrian Ashby of the NYPD Detective Squad; Detective Vincent ‘Vinny’ Martinos, 71st Precinct, Community Affairs Unit and Captain Brian White, commanding officer of the Brooklyn South Investigations Unit. 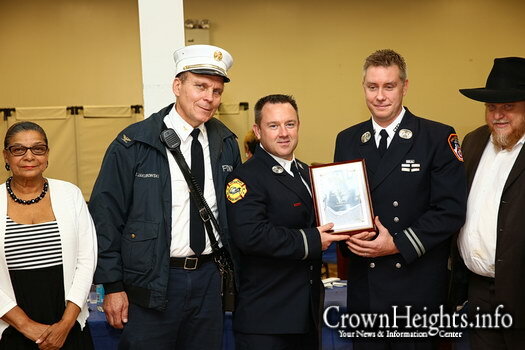 Capping off the ceremony, firefighters of the FDNY’s Engine 249 and Ladder 113 accepted an award on behalf of their lieutenants and commanders. 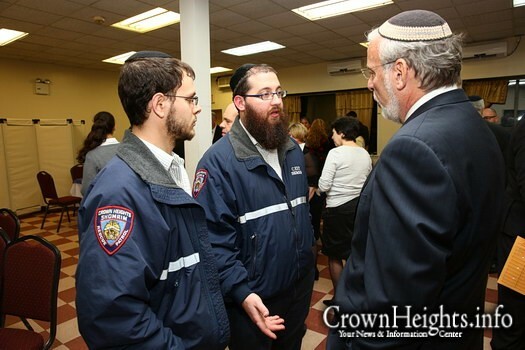 Gadi Hershkop, a resident of Crown Heights for 40 years, began volunteering at a young age in Shomrim, the neighborhood patrol. 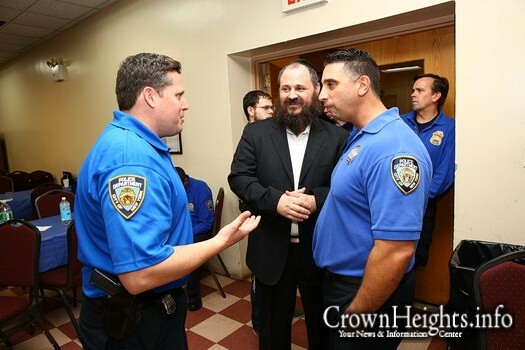 Today, while being a devoted father and dedicated bus driver, Gadi is the Coordinator of Crown Heights Shomrim, seeing to the day to day operations of the organization while still responding to many emergencies and assistance calls. 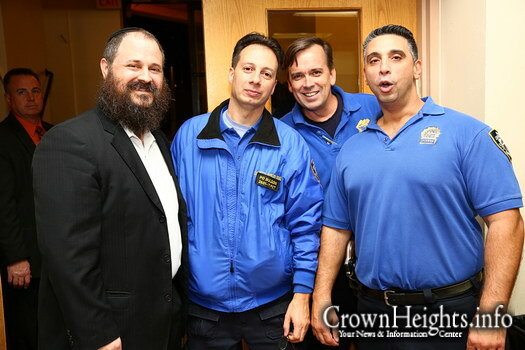 In his 24 years of volunteering, Gadi has helped thousands of residents in many ways; missing persons, muggings, assaults, children locked out of cars or homes and stranded motorists, to name a few. 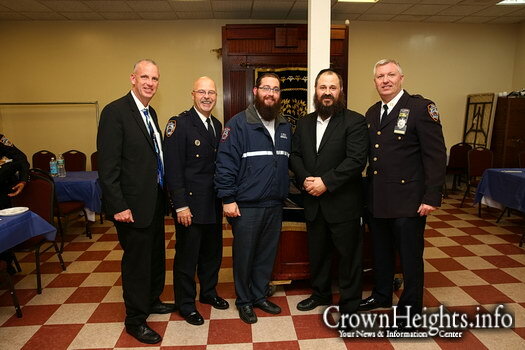 Congratulations Gadi and the Shomrim team, may you all go from strength to strength. 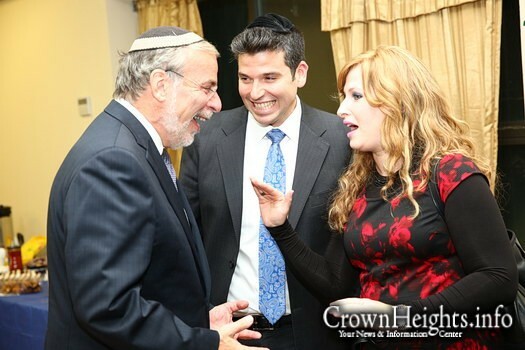 Wow, how the world turns. 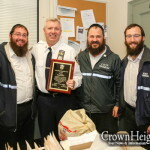 Well deserved over two decades at the forefront of community security and assistance together with the rest of the Shomrim team, on behalf of crown heights thank you! 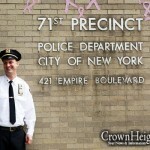 One of the pillars of CH tnx for everything. Well deserved and thank you for all the times the shomrim assisted me in the past.